My camera is taking really weird long pictures. I have no idea what it's problem is but it is causing problems with me. I am trying to eat more whole grains. I know- totally against what all the world is doing with the Paleo and Whole30 movements but I've done a lot of thinking and pondering on this. I really think that we don't really eat a lot of whole grains- bread doesn't count. I found this recipe and I love it so much that I have already made it twice this week. It is filling, very filling, and tastes so amazing! Place quinoa and water in a saucepan and bring to a boil. Reduce to a simmer, cover and cook until all of the water is absorbed. Quinoa is done when the spiral-like germ, or tail, has popped from the seed. Combine all ingredients in a small saucepan and simmer until blueberries are heated through. Beat eggs well. Add remaining ingredients and mix until blended, but do not overmix. Pour onto a hot, lightly oiled griddle. Add the fresh blueberries to the top on the poured batter. The hot oil will create those crisp edges to your pancakes. Flip pancakes once air bubbles surface and pop, and the batter appears to firm up. This will make flipping easier. Keep first batches warm in a 200º oven. GARNISH with toasted walnuts and Blueberry Maple Syrup. I basically stopped eating jam a long time ago and I really missed it, but because of SO MUCH refined sugar in it I just couldn't do it. Then I stumbled across this recipe that one of my friends posted on Facebook and the love burn back into a flame again. This stuff is so good. I had toast with a little butter and this jam on it and I am trying not to go and eat a while loaf of bread with it smeared on now.The bonus was that I went out the morning I made it and picked the rhubarb and strawberries fresh. I love gardening! Place all ingredients in a blender and blend until desired consistency. Put in a pint sized jar over night in the refrigerator and enjoy in the morning. You can add extra diced fruit if you want it chunkier. I fell in love with Larabars sometime ago. They are expensive in this state of Alaska though. Sometimes I can get them on sale 4 for $5 but that is rare. I searched the net after eating a Pecan Pie bar knowing that I needed them more often than money would allow. Since I buy my dates and nuts at Costco I am sure my cost of making them is much, much less expensive than $1.25 a piece. Happy day! I don't have pictures for these recipes because #1. they don't last very long around this household and #2. larabars aren't really that pretty. I mean, they taste amazing but they just really aren't that pretty. Here are four recipes that I have come up with. The first two are tried and true. The other two I haven't tried yet but the measurements seem exact for yummy goodness and I will be trying them soon. Blend in a food processor until it sticks together. 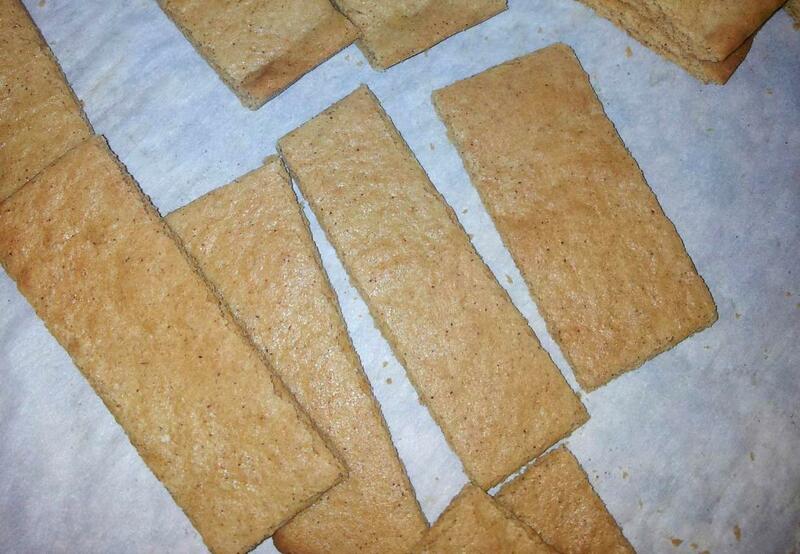 Press in an 8x8 pan and the cut into bars. I store them in the fridge. In food processor blend the nuts until fine. Add the dates until it starts to stick together. Press in 8x8 pan. Cut into bars. Enjoy! Process the nuts until fine. Add the banana and dates until it sticks together. Press in an 8x8 pan. Store in fridge. Process nuts until fine. Add the coconut and pulse. Add the dates and coconut oil and process until it sticks together. Press in an 8x8 pan. Cut into bars. Enjoy! I may have died and gone to heaven! This is so incredibly good. Must make. Again and again and again. Cut the chicken into medium-sized chunks and season with salt and pepper. Heat the coconut oil over medium heat in a medium saucepan. and transfer to a separate plate. Add the onions to the saucepan and sauté until translucent. Return the chicken and juices to the pot, and add the curry paste to taste. If you don’t like spicy, just use 1 tablespoon. Stir-fry until you can smell the rich aroma of toasted spices.Pour in the coconut milk…and toss in the veggies. Raise the heat to high and bring the contents of the pot to a boil. Then, turn the heat down to medium-low and simmer the curry for 5 minutes or until the veggies are cooked through and the flavors meld. Taste for seasoning and adjust as needed. Add the cilantro. You can serve over rice or eat like a soup. Seriously so good! I don't like cakey brownies. 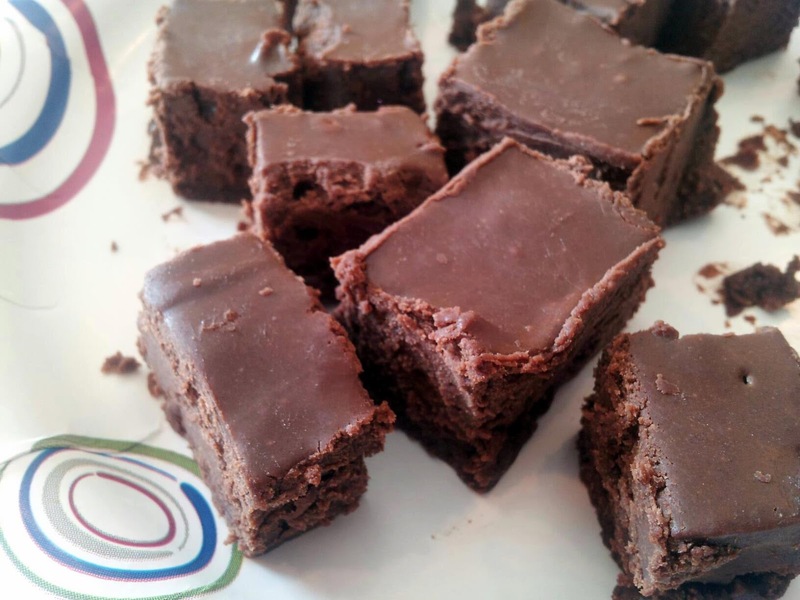 As a result I have gone through several different recipes for brownies made with honey with out any success. Oh, if I wasn't so picky! I found one and tried to once. Failure- I accidentally added baking soda AND baking powder when I was supposed to just add powder. Second try- increased flour and did not use baking soda. Almost but not quite what I was looking for. Third try- now this says something because I NEVER try a recipe three times. This time I changed the amounts of honey and maple syrup and PERFECTION! Even my husband who has not truly embraced the no sugar lifestyle I have introduced said they were really good and he ate several. Hooray! I will count that as success. I frosted them with this chocolate frosting- HERE. 1/2 C maple syrup- the REAL kind! Grease an 8x8 in pan. Pour the batter mix into it. Bake for 20-25 minutes. The top will be glossy. Frost when cool and enjoy healthy, yummy, chocolatey goodness. There has been a lot of experimenting and failing in my kitchen lately in trying to find a recipe that uses honey instead of 1 1/2 cups of sugar for chocolate chip cookies. The first two attempts were not even noteworthy. There was a lot of runny, flatness mixed with melted chocolate. It was painful to see. Today I tried these and I think we have a keeper. I was actually surprised that they weren't cakey and didn't flatten everywhere. Hooray! Cream the butter, honey and dry milk. Add the eggs and vanilla and mix well. It will look a little curdled. Add the flour, soda and salt and mix again. Stir in the chocolate chips. Drop by tablespoons on a cookie sheet and bake in a preheated 350* oven for 8-10 minutes. Yesterday was a peanut butter popcorn kind of day, but my other recipe calls for marshmallows and brown sugar which we are trying to avoid at all costs on this side of the world. I wondered if I could find some way to make it with honey. Well, where there is a will there is ALWAYS a way. This popcorn was so good and it made A LOT but it was all gone with in just a few hours of me making it. Perfect substitute for what we loved before! Pop the popcorn. This makes a lot of popcorn. We filled up two very large bowls. In a saucepan heat the honey, peanut butter and butter until it is smooth and runny. Drizzle the peanut butter mixture over the popped corn. Stir to coat. My mom knows we gave up refined sugars and she is so amazing that yesterday she brought over this fudge that is made with honey and coconut milk. It was amazing. I think I have found a new fudge recipe! After 2 hours, turn the slow cooker off, uncover, add vanilla and stir to combine ingredients. Allow to cool in uncovered slow cooker, until fudge has reached room temperature...approximately 4 hours. Using a large spoon, stir vigorously for 5-10 minutes until it loses some the gloss. Lightly spray a 1 quart casserole dish with non-stick cooking spray. Pour fudge into dish, cover and refrigerate 4 hours or until firm. Cut into 30 pieces. This fudge is very rich and meant to be eaten on occasion as a treat. 100% Whole Wheat Cinnamon Rolls with NO REFINED SUGARS!!! Our no sugar experiment is going along really, really well. I actually don't even miss it and why would I when I am figuring out how to make the things I love refined sugar free? Today my daughter requested cinnamon rolls. I knew this one was going to be a little more complicated to pull off. I did some internet searching and compiled a few ideas and then came up with this gem. They turned out so good. To someone with a palate that is used to processed foods it might not taste as amazing as it did to us. How glad I am that I don't have to worry about that! For the dough- Put all ingredients into a bread machine on dough cycle and let it work it's magic. For the Filling- Put the ingredients in a food processor and process until it is a paste. There will be some date chunks in it and that is okay. Once the dough has run through the dough cycle turn it out onto the counter and roll it out into a large rectangle. Spread the date mixture on to it making sure to get it out to the sides. Sprinkle nuts on top of that if you are including those. Roll the dough up and cut into 8 large cinnamon rolls. Place on a cookie sheet to rise in a warm place until double. While the rolls are rising prepare the icing. In a bowl beat the cream cheese until smooth- this is important! You don't want clumpy icing. Then add the other ingredients mixing well after each addition. Bake the rolls at 350 degrees for about 20 minutes. Let cool a little before icing. And ENJOY!!! This weekend we were in Anchorage and went to Natural Pantry to see what fun stuff they had there. It was all really fun. There was a lot of real food there which was nice but the prices were outrageous. Seriously outrageous. Regardless of that we did pick up a few things. My husband got okra chips which were very interesting. We also left the store with Banana Coconut Snakaroos by Laughing Giraffe Organics. We immediately fell in love with them. Such a good, whole food that was perfect for a snack. The only problem was the price. After some internet searching I put together a recipe and tried it out today. This one is minus the banana but I will put the banana in next time I make them. They turned out perfectly! In a food processor add the almonds and process until it is almost a flour consistency. In a bowl combine all the ingredients mixing until it is well incorporated. Using a cookie scoop shape them into half balls and place on a cookie sheet. At this point I just have them sitting on the counter to dry out. I tried baking a batch of them but the honey ran everywhere and they did not stay together. Just leaving them out on the counter seems to be working very well. Here is one that the kids loved. And so did I. I used dark chocolate chips which are not technically 'no refined sugars', but I can read all the ingredients on the package and know what they are. These would be really good with raisins though and I will try that next time I make them. Cream the butter and honey. Add the egg and vanilla mixing until smooth. Add the dry ingredients and then stir in the chocolate chips. Bake for 10-12 minutes until the cookies are golden brown. Remove from the overn and let them cool on the pan for about 2 minutes. Then cool on a rack. Optional alternative: add 1 tsp cinnamon and 1 C raisins in place of the chocolate chips for oatmeal raisin cookies! I am currently on day 27 of no refined sugars. It has been challenging at times. My husband has been asking for me to make his favorite chocolate cake and I have hesitated for days. How could I make a version that would work for me and him and all our kids. I told him I would do it today but that I was going to experiment. What resulted was seriously heaven in cake form. I don't know if it's because I haven't had treats like this in so long or because this seriously tasted so amazing but it was the best chocolate cake I think I have ever had. With a maple syrup and honey mixture for the sugar and whole wheat flour the combination filled my unresistable desire for something that was so good but that would not derail my efforts. I will probably dream about this one for a little while. Grease and flour two 9 in round cake pans. Combine the dry ingredients and mix. Add the wet ingredients and make sure they are mixed well. This mixture will be VERY runny. Take the cake from the oven and cool completely before frosting. Mix all ingredients in a mixer until light and fluffy and then put in the fridge to chill until the cake is done and chilled. I am LOVING all the recipes I am finding that have no refined sugars in them. It is making my life much easier in the healthy eating department. I bet that soon I will have an entire collection which will make the transition very smooth. These were so good! And so easy to throw together. We even cut some into squares and they are in the freezer with maple whipped cream tucked between two of them to make 'ice cream' sandwiches. Along with my no sugar-ness I have decided to slowly take it out of my childrens diets too- as best I can anyway. This morning I wanted to make muffins. Our normal banana muffins are FULL of sugar. I mean, we are talking 2 cups of sugar! I made this recipe before but didn't think it was welcomed much. However, that was in a day when sugar was still a BIG part of our every day.This morning when I made them I turned around and when I turned back all 12 were completely gone. I'll call that success and use it more often! Mix together flours, pie spice, soda, powder and salt. Make a well in the center and all the other ingredients. Mix together until well combined. Scoop into 12 muffin wells with liners and bake for 20 minutes. You could also add chocolate chips if you like that sort of thing. I'm not really ALL about the new Paleo diet that is taking the world by storm. I just don't agree with some of the things about it. For one I am totally not into raw meat like some Paleos are doing and I also think that whole grains are a beautiful thing if used in moderation. That being said, I have found some really good recipes on Paleo websites and have fallen in love with them. I am on day 16 without any refined sugars in my diet. All I am allowing myself for sweeteners is real fruits, honey and 100% maple syrup. I actually feel really, really good and have tossed around the idea of never going back to white sugars and all their offspring. There are times like today when I just needed something sweet and so I decided to make this recipe that I came across. Unlike some other paleo cookies I have made these kept their shape and taste amazing! Combine the flour, salt and soda. Add the egg, oil, and honey until dough forms. Stir in the chips. Scoop onto cookie sheets with a cookie scoop. I used one that was about a tablespoon. Now this is important: Once you take them from the oven and transfer to a wire rack let them sit for about 15 minutes before eating them. Trust me! The picture probably doesn't look so appetizing but this stuff is seriously so good and so easy to make. I think I am in heaven. I have been trying to eat more real food. Food that has not been made in a laboratory. This is a recipe I stumbled across and mixed it up last night with hesitation but now I am thinking it could become a staple in my diet. There are amazing benefits of chia seeds. They are now proclaimed as a super food. Anyway, if you make this hopefully you'll agree that it is SUPER!!! Whisk the coconut milk, honey, and extract until smooth. Stir in the chia. Chill in the refrigerator for 2 hours or overnight. Serve with mixed berries. Next time I will try Chocolate Chia Pudding by adding 2 T cocoa powder to the recipe! I am not sure that I have ever had Swedish meatballs before tonight, but I am sure I will be having it again and again and again! YUM!!! The kids were all in the kitchen picking at the meatballs before dinner was even done. And to make matters the best ever, EVERYONE loved it! Melt 3 tbsp oil in a large skillet over medium heat. Add the onion and sautée for 5 to 10 minutes, or until tender. In a medium bowl, combine the bread crumbs with evaporated milk and stir, allowing the crumbs to absorb the milk. Add the ground beef, onion, egg, salt, black pepper and parsley to taste. Mix well and form golf ball sized meatballs. Heat remaining 3 tbsp oil in the same skillet over medium to medium high heat and add the meatballs. Carefully shake the skillet to run the meatballs, as needed. Sauté efor 10 to 15 minutes or until meatballs are browned on all sides. Transfer the meatballs to a serving platter. Deglaze skillet with 1 cup of the beef broth, letting it simmer for 3 minutes while scrapping the bottom of the skillet with a spatula. Strain the gravy into a clean bowl and add the remaining 1 cup of broth. Melt 2 tbsp butter in the skillet, then whisk in 3 tbsp flour; cook 1 to 2 minutes. Whisk warm beef broth into flour mixture. Let simmer, whisking constantly until thickened slightly. Add the cream and season with onion powder, garlic powder, parsley, salt and pepper. 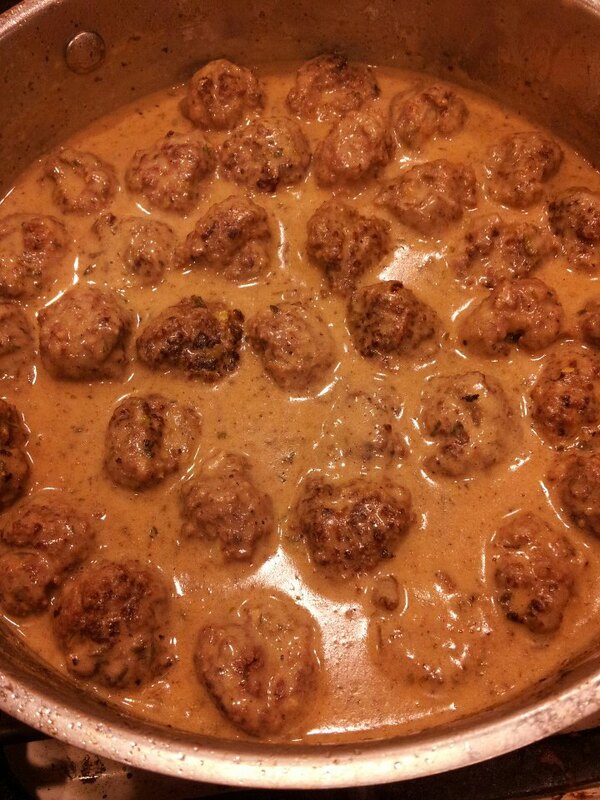 To serve, cover meatballs with gravy and garnish with fresh parsley.